C&S Supply has evolved over the years. We became a member of True Value Hardware in 1992. We have also become a major supplier of work clothing, footwear, nurse’s uniforms, power equipment sales and service, and various hardware items. We carry the quality brands you have come to trust such as Carhartt, Dickies, Key, Georgia Boot, Stihl, Cub Cadet, Weber and many other brands. 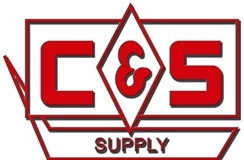 C&S Supply became employee owned January 1, 2007 with principles David Page, Manager, Robin Schendel, Assistant Manager, Kathy Morris, Office Manager, Corey Kapaun, Power Equipment Manager, and the remainder of the C&S Supply team. Hiniker Company Art’s Way Manufacturing Co., Inc.